The mission seems to be going well enough; it’s been tough, but you’ve persevered, making your way through some tense situations by avoiding the gaze of patrolling guards. You’ve just infiltrated the enemy base—now it’s time to assassinate someone. You’re hiding, maybe in the bushes or around a corner, and wham, some guard spots you. Alarms sound, the world begins to move in slow motion, and an alert pops up on screen. This piece originally appeared 7/30/14. If you’ve ever played a stealth game, chances are high that this is your experience. If you’re lucky, the game will blare an alert and you’ll have to hide somewhere in the area, only to emerge to try again once the guards are feeling better about themselves. How would you define the stealth genre? I think most people would agree on a definition like “a stealth game is one where players must reach an objective while remaining unseen and unheard.” Some players will tell you that a non-lethal route is an absolute must, while others pride themselves in killing absolutely everyone on the map, yet they manage to remain undetected. 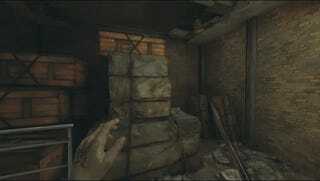 Stealth enthusiasts will proudly tell you of the ways they ‘ghost’ through levels, leaving no trace of their presence. “Don’t be seen, don’t be heard.” Until recently, that was the genre’s mantra, and few games made any attempt at thinking outside the sneaky cardboard box. Hitman tried it with its disguise mechanic, but beyond that, all stealth games more or less play the way they have since Castle Wolfenstein, back in 1981. 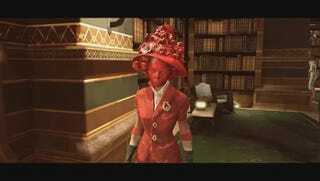 Then along came Dishonored, and with it, Lady Boyle’s Last Party. If you’ve not played Dishonored, here’s the elevator pitch version: It’s Thief meets Half-Life 2. You play a former bodyguard framed for the murder of the Empress. You have been given a variety of supernatural abilities by a mysterious character known as The Outsider. Your goal is to eliminate those who framed you while uncovering the plot behind the Empress’ murder. Also, you wear a trademark mask—this gets important later. The mission starts simply enough: Samuel the boatman escorts you to the party, then outlines what you’re supposed to accomplish, (in this case, getting rid of one Lady Boyle), and parks the boat, setting you free to tackle the mission. Originally, I wrote “tells you what to do,” but this is Dishonored—instead of telling you what to do, like just about every stealth game out there, Dishonored assigns you a target and lets you determine the best way to do things. Once you’ve climbed out of the canals, your attention is quickly drawn to the Boyle mansion. If you’ve ever played Half-Life 2's developer commentary mode, you’re probably aware of how Valve uses linear pathways to ensure a player’s always looking in the right direction. When you exit the doors of the train station, you’re going to be facing the Citadel—not only that, but all the lines in the scene, from alleyways to power lines to building silhouettes, point to the Citadel. Everything draws your attention, and Half-Life 2 will repeat this sequence multiple times throughout the game, highlighting the building’s importance. 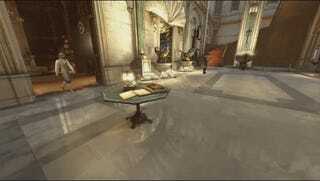 Dishonored does something completely different. The stairs that most players will climb to get from the canals to the level’s “ground floor” don’t lead you directly to the mansion. Instead, the mansion’s bright lights and vibrant colors—which stand in direct contrast to the dreariness of the rest of the level—are sure to catch your attention. If they don’t, well, the crack and thump of the fireworks will. There can be no question as to which mansion is Lady Boyle’s. Now that you know where to go, it’s up to you to figure out how to enter. The walls surrounding the mansion are too high to climb or teleport over, and you’re ultimately left with two basic choices: sneak in through the right side of the mansion or walk straight through the front door on the left. First, let’s talk about the more traditional route on the right hand side. It’s fairly straightforward—keep out of sight, stay low, open a window here, jump across buildings there, find a key, open a door, climb some crates and chains and jump down into the gardens… which happen to have a couple guards and a nobleman hanging around. The guards, for what it’s worth, don’t particularly seem to care that you’re around. If anything, they’re actually nice. No, it’s not a glitch, you’ve just infiltrated a costume party. It’s no surprise to guards that a guy wearing a mask is walking around, because, well, everyone’s wearing a mask. Unless you engage in any suspicious behavior, like shooting people, they don’t particularly care what you do. One of the game’s side missions involves the delivery of a letter. The man you’re supposed to deliver it to happens to be the aforementioned nobleman. When you hand him the letter, he reads it, revealing that it is a challenge to a duel. Congratulations, you’re about to engage in a perfectly legal gunfight! Assuming you win, you’ve just murdered a man in plain sight of the guards, and they don’t care! It’s against everything a modern stealth game stands for. Not only have you killed someone, but you’ve done it with an audience, and they were none the wiser as to your true purpose. In that moment, everything about the genre changes. The form of the game has transformed, but the function, the idea that you must remain undetected, remains the same. Let’s be clear, there are a host of ways to enter the mansion. Find the right balcony, and you can enter through a bedroom. Back door? Sure, why not. Front door? Absolutely. The Boyle mansion has plenty of entrances, and it’s up to you to approach it how you want. What makes the front entrance great, however, is how Dishonored asks you to do the least-stealthy thing you can possibly do, perhaps even less stealthy than shooting a man in the face in a duel. This maverick stealth game doesn’t merely give you the opportunity to waltz in the front door, it also asks you to sign the guest book. Seriously, you can approach the guest book and sign it with your character’s name, Corvo Attano. All the guests think you’ve got a deliciously dark taste—that you’re some nobleman who’s decided to wear the mask of the nation’s most wanted man. Now you’ve got to find the right Boyle, of which there are three, each virtually identical save for the color of their costumes. You can, of course, engage in traditional stealth behavior by sneaking upstairs, avoiding anyone’s line of sight, and pilfering through the bedrooms until you find some clue that tells you which one to kill. Or you could talk to the party guests. Some stealth games have gone the “find the right target” route before, but I can’t think of any that have required some detective work to suss out the target. It’s yet another clever and fun twist in a level that’s already one of the most inventive of the past decade. When you find the right Boyle sister, all you have to do is eliminate her. Maybe you decide to shoot her, or perhaps you summon an army of rats to attack. If you want, you can simply wait until no one’s looking, stab her, and be on your way. Talking her into heading up to her room works as well. There are plenty of options, but perhaps the most notable one is the non-lethal choice. The average modern stealth game treats non-lethal play like the best way to play, not just because of the skill it requires, but for moral reasons, which is totally understandable, given that killing is generally the worst action one human being can commit. Unfortunately, this has a tendency to be rather limiting, as it incentivizes one kind of play over all others, which is completely at odds with what stealth games are all about. 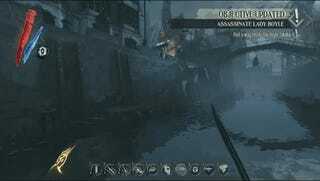 Dishonored, in yet another clever twist, makes the non-lethal route seems to be the worst one. You can kidnap Lady Boyle and deliver her to a man in a boat, who will take her… somewhere. Dishonored has non-lethal options for other targets as well, and while all of them effectively ruin the lives of the very bad people you’ve set out to stop, Lady Boyle’s fate is heavily implied to be the worst one by far. Non-lethal stealth in Dishonored is, at least in this case, the more dishonorable option. Again, this is just one of many choices available to you. 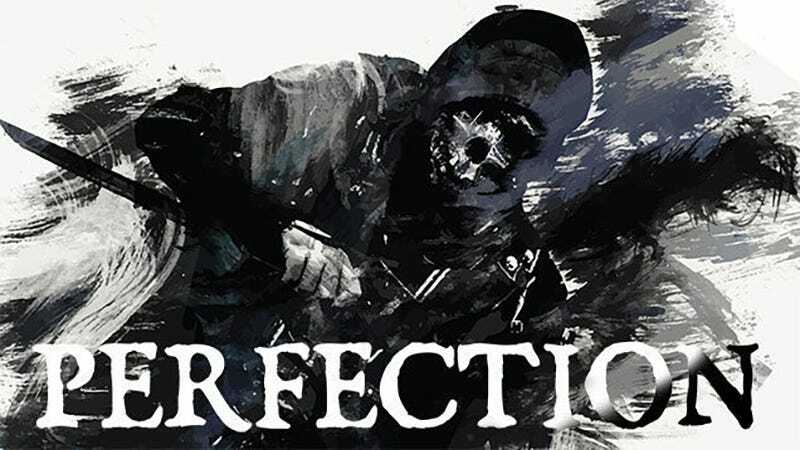 Prior to Dishonored’s launch, the creators spoke about a playtester who stuck a mine on a rat, possessed a rat, and guided it into a room of guards, where it exploded, killing them. One of my favorite tactics is starting a fight, getting shot at, freezing time, possessing someone, and walking them in front of the bullets. Lady Boyle can be shot, stabbed, dumped in a river and drowned, eaten by rats, thrown against a wall with such force she dies… it’s all about playing how you want. If you want to be nonlethal, be nonlethal, but you don’t have to, and there’s no special incentive, like extra XP, that makes it the “right” choice. It’s merely one of many, and that’s what makes Dishonored so cool. It’s because of Dishonored that I think enthusiasts and designers have got the genre wrong. At their insistence, nearly every stealth game I’ve seen recently champions nonlethal, undetected stealth. Personally, I think stealth games are a unique kind of puzzle game. Your average puzzle game, like Portal 2, has one problem and one solution. Solve the puzzle, move on to the next puzzle, repeat. A stealth game instead presents you with a goal, like “kill this guy,” or “steal that thing,” or “get to that place.” Then it gives you a handful of tools, and then an obstacle of some kind—a problem to solve—and says “okay, so how do you want to do this?” It’s the same basic formula, but rather than a single solution, the game invites you to solve the puzzle in the way you see fit. The stealth genre is a playground, a stage for player creativity. Dishonored works because it rejects the notion of there being a “right” way to play a stealth game. Earlier, I mentioned the idea of ghosting through levels—playing without any detection whatsoever. Ghost runs in games were another way to get creative mileage out of a genre built for that very purpose. The creators hadn’t built their games for ghosting, but the tools were there. Creative players used ghosting as a means to demonstrate their skill. Unfortunately, non-lethal or ghost playthroughs have largely become the way to play stealth games. Assassin’s Creed forces a restart if you’re caught. Deus Ex: Human Revolution grants far more XP to non-lethal players than others. Sneaky Bastards, a magazine for stealth enthusiasts, claims that there is no stealth genre, merely action games with stealth, because nothing lives up to their ideal of what stealth should be (Justin Keverne’s great counterpoint in the comments of the linked article is well worth a read). The genre is in danger of becoming homogenous, because people increasingly treat it as if there is only one ‘true’ way to play. An entire genre can’t sustain shooters with just one kind of gun or action games with just one kind of attack, likewise, stealth can’t sustain just nonlethal or ghost runs. GB Burford is a freelance journalist and indie game developer who just can’t get enough of exploring why games work. You can reach him on Twitter at @ForgetAmnesia or on his blog. Top image by AJ Hateley, modified by Luke Plunkett.